According to the National Highway Traffic Safety Administration (NHTSA), the season between Thanksgiving and New Year’s Day is one of the deadliest times on the road when it comes to impaired driving. 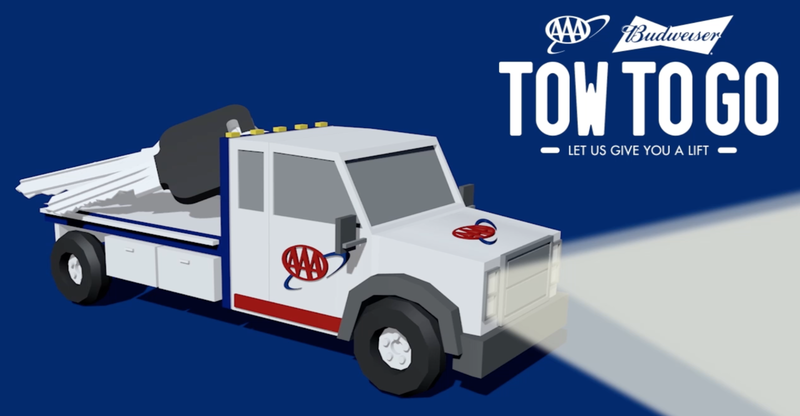 In order to contribute to safety on the road, AAA and Anheuser-Busch are offering to Tow to Go program. A 2017 study by the AAA Foundation for Traffic Safety found that among drivers who reported consuming alcohol, 20.7 percent reported driving in the past year when they thought they had consumed too much to drive safely. This year marks the 20th anniversary of the Tow to Go program, a partnership that began in 1998 between AAA and Anheuser-Busch (Budweiser) to prevent impaired drivers from getting behind the wheel. Over the past 20 years, the Tow to Go program has taken over 25,000 impaired drivers off the roadways. You can’t make an appointment to use Tow to Go. It is designed as a safety net for those that did not plan ahead. Always choose a Designated Driver before you have your first drink. Tow trucks can usually transport up to two people. If there are more people in your party, you will need to make other arrangements to get them home safely. In some situations, AAA may need to make other arrangements to get an impaired individual a safe ride home. Tow to Go may not be available in rural areas or during severe weather conditions.